Microsoft is about to push out yet another update for Edge. We've already covered the Android version of the browser in a previous story, so here is what to expect from the app if you're using an iOS device instead. First off, the new changes are already available in the beta version of Microsoft Edge, so if you're using it, then you now benefit from these new features and improvements. The latest beta update released by Microsoft brings the app to version 42.3.2 and adds some interesting new features. The most important seems to be the visual search, which will allow Edge users to upload a photo to find contact info or identify landmarks. Also, the camera now has a built-in barcode scanner that lets users search for an item via visual search. 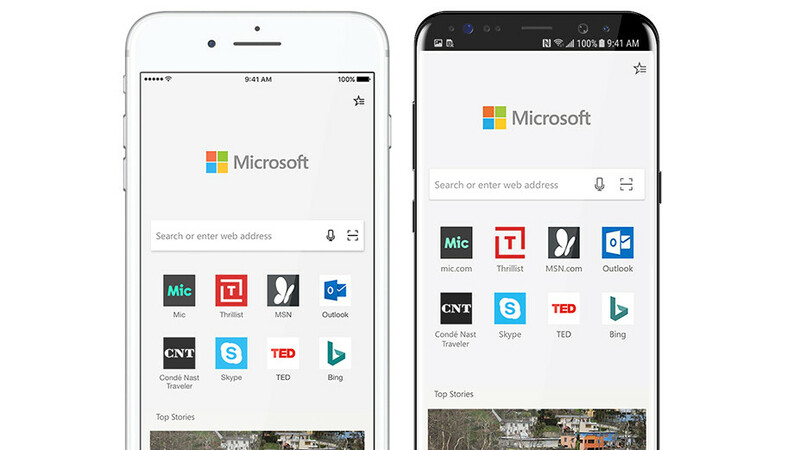 To make the use of search easier, Microsoft added the ability to paste and search. So, instead of having to type a word, you can now paste what's on your clipboard and press the search button. Last but not least, the update adds a couple of new features for those who use a work or school account with Edge for iOS, which will allow them to see their mobile activity in their PCS timeline, as well as access intranet sites directly from home. Visual search is not so bright. I took a picture of a financial brand and it showed me images of the same color - no brand whatsoever - I took a picture of a printing equipment, made by a notorious producer, and it showed me boats and cars - not even other printing equipment, I took a picture of a credit card (with a bank name and card maker written on it) and it showed me invitations and little hearts of the same color as my card. Useless search feature. Why is Edge (IE with a mask) infecting everything? There is only one decent browser project. Chromium. All branches of the Chromium open source are fine. But I have major hang ups with nearly every other browser. If Edge keeps up their recent pace they may become acceptable by the end of the next decade. But for now IE, Safari, and Firefox fail so horribly at getting the basic CSS specs covered that they just aren't worth it. Firefox is putting effort into adding VR support features while they haven't even finished CSS3 specs. I don't understand what they think they are doing. Safari at least on mobile devices limits the memory usage to the 90's meaning you can't do squat. And IE has been playing catch up since their decade long nap, but they keep falling asleep and loosing ground again. We'll see if Edge ever amounts to anything reliable.